The SFF-8482 is a connector design for interfacing a connection for SAS drives, both SAS Hard drives and SAS SSD drives. 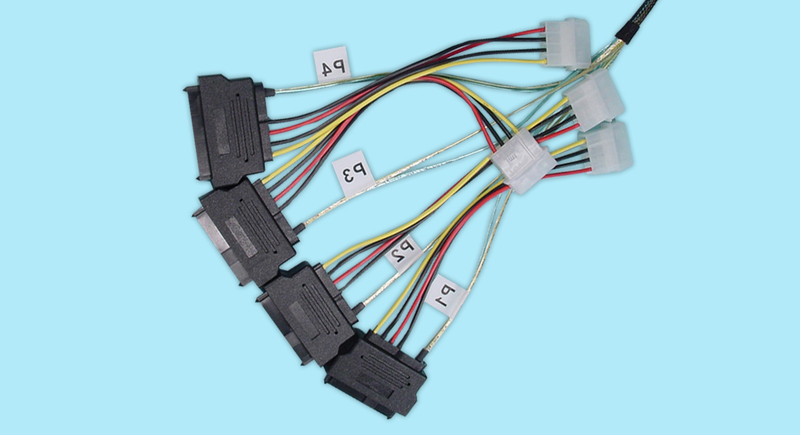 The SFF-8482 is a 29-pin connector with a plastic body, and configured with 15 pins that support the power requirements of the drive, and (2) groups of 7 pins that carry the SAS data signals. The SFF-8482 supports 2 SAS ports (lanes) to/from the drive. The SFF-8482 can be incorporated onto a pcb ‘”docking” backplane for multiple drives, onto a single-drive “T-Card” adapters such as CS Electronics’ ADP-4200 and ADP-4000, or even used as a cable interface to plug directly onto a drive. The newer version of the SFF-8482 drive interface connector interface is the SFF-8680, which visually is very similar, except that the SFF-8680 was design for the faster SAS 3.0 12Gb/s speeds.